Prepared using salt free Creole seasoning and no added sodium diced tomatoes. Spray cold grill rack with cooking spray. Preheat grill. In a medium bowl, combine turkey, Worcestershire sauce and 2 teaspoons Creole seasoning. Shape mixture into 8 patties. Grill burgers about 6 minutes on each side or until completely done. In a small saucepan, combine the tomatoes, remaining Creole seasoning and garlic. Cook over medium heat for 5 minutes or until most of the liquid has evaporated. 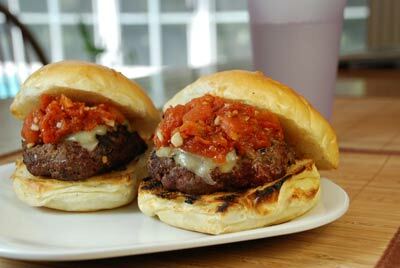 Place burgers on buns and spoon on the tomato sauce. Save $0.50 on ONE (1) Earth's Best Organic® Infant Food product, any variety or size.